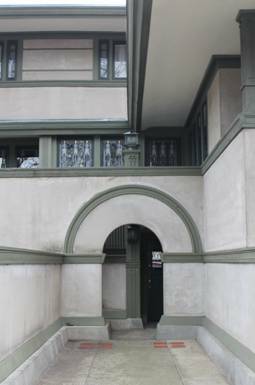 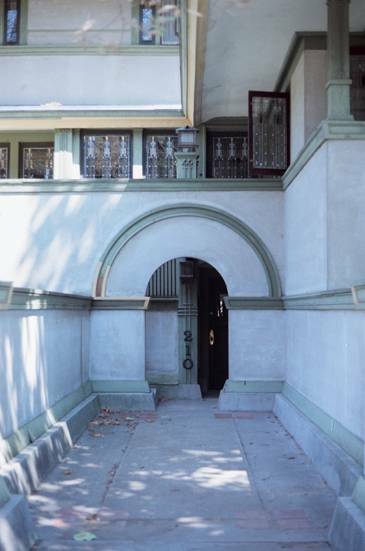 The design reminds me of the Heurtley Residence (#74) further up the street because of its arched doorway. 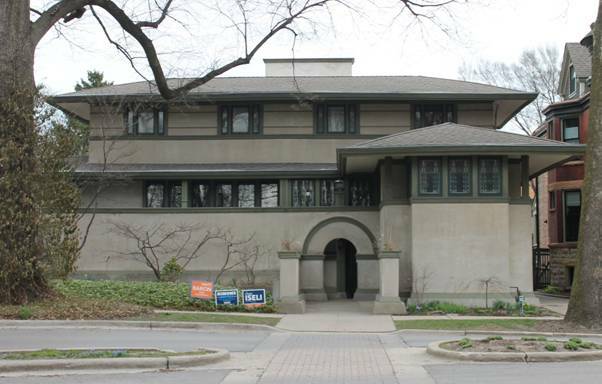 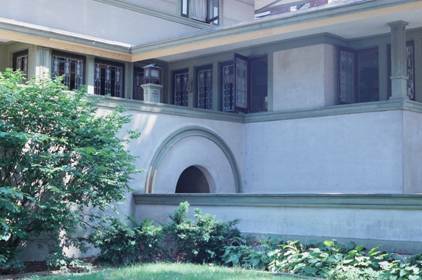 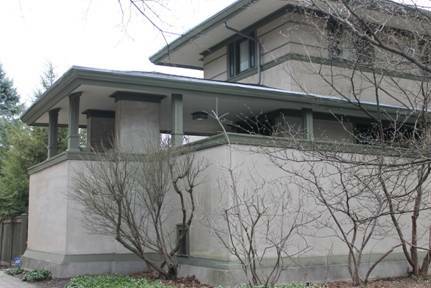 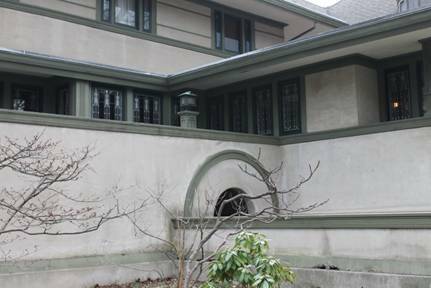 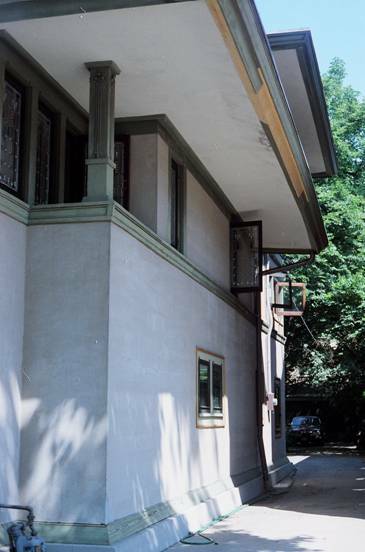 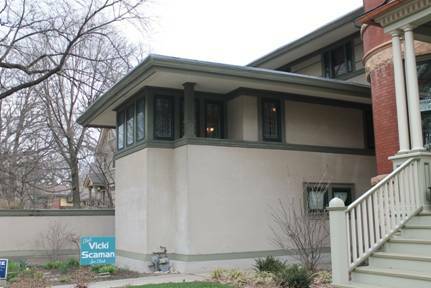 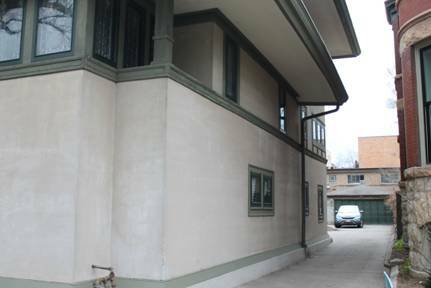 Forest Avenue is a treasure trove of Wright designs, with eight homes anchored by the FLW home (#2) at the corner of Chicago Avenue. 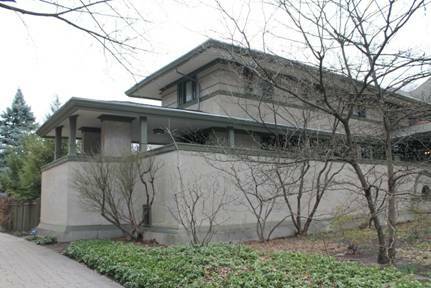 Within a block either way are several more Wright designs. 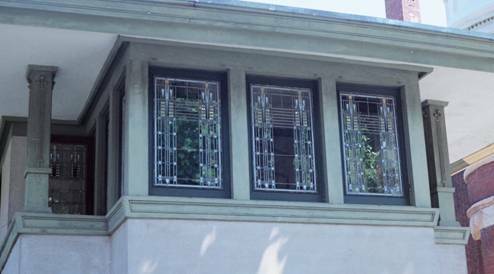 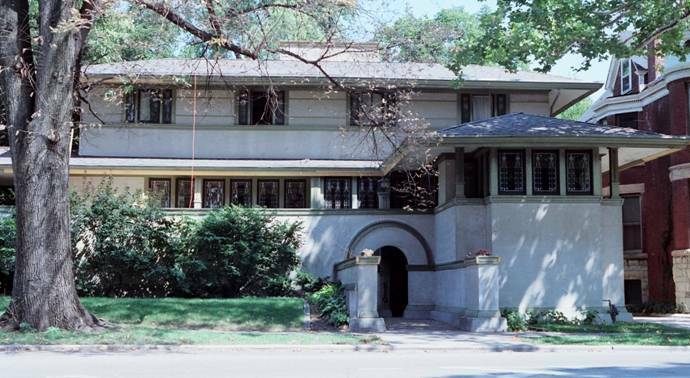 It is no surprise that this area is a main feature of the Oak Park walking tour (which views the exteriors of homes). 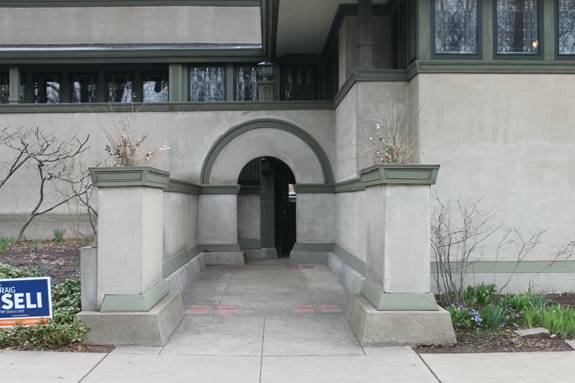 The house was commissioned by James C. Rogers for his daughter and son-in-law; the couple lived there only briefly.